It is a requirement in all General Education courses for students to create an ePortfolio that contains their significant assignments and reflections about those assignments. 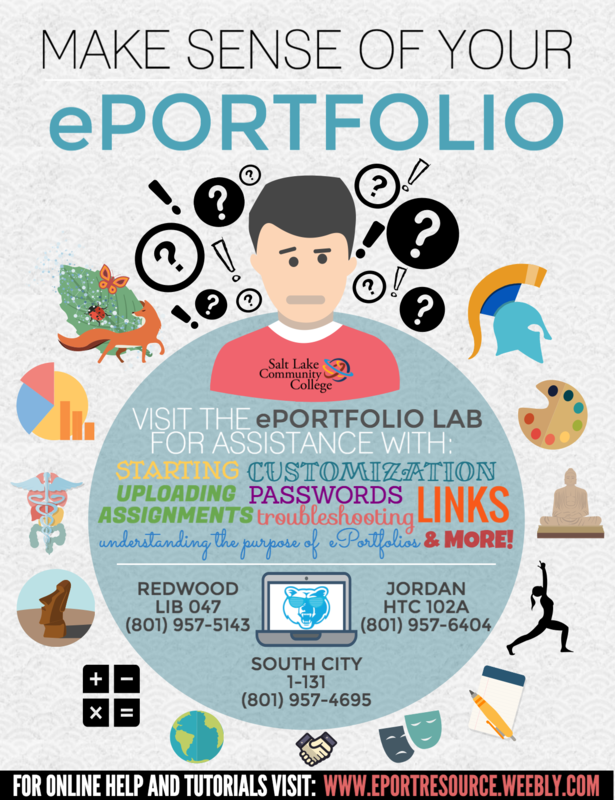 The ePortfolio also allows students to document their goals and extra-curricular activities. ​Salt Lake Community College's ePortfolio initiative is a great way for students to make sense of General Education and share their learning experiences with friends, family, and scholarship committees. Faculty are also going to want to see your ePortfolio before they write a letter of recommendation for you. By far our least busy lab! If you want to avoid the crowd and waiting around, give our West Valley location a try! SLCC is not the only college in the country to use ePortfolios. Click on the links below to see how ePortfolios are used at other institutions across the nation. ePortfolio is a High-Impact Practice!